Explanation: An old comet has returned to the inner Solar System. Not only is Comet 45P/Honda–Mrkos–Pajdušáková physically ancient, it was first discovered 13 orbits ago in 1948. Comet 45P spends most of its time out near the orbit of Jupiter and last neared the Sun in 2011. Over the past few months, however, Comet 45P's new sunward plummet has brightened it considerably. Two days ago, the comet passed the closest part of its orbit to the Sun. The comet is currently visible with binoculars over the western horizon just after sunset, not far from the much brighter planet Venus. 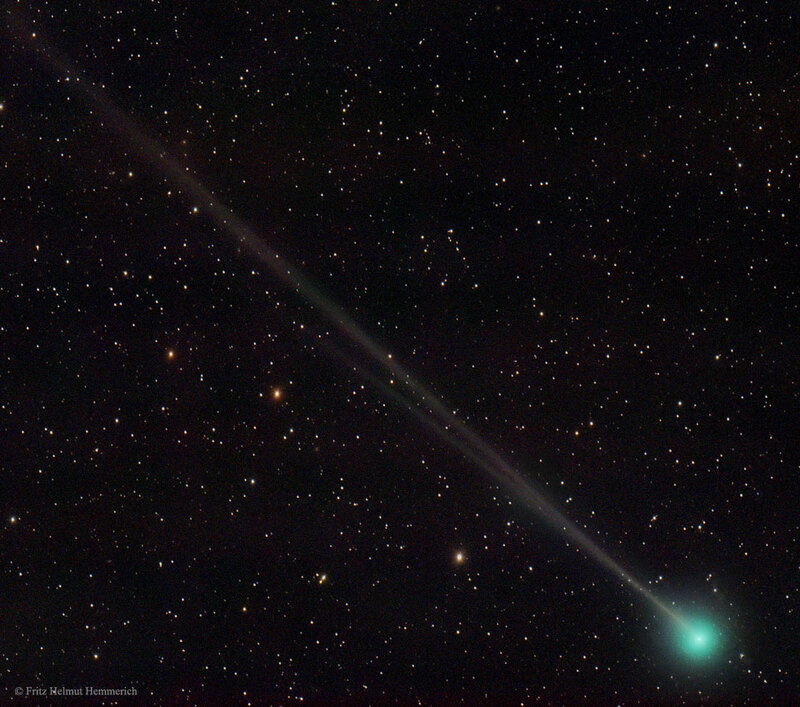 Pictured, Comet 45P was captured last week sporting a long ion tail with impressive structure. Comet 45P will pass relatively close to the Earth early next month.